I once found a random vegetarian chili recipe and with my own changes and additions it’s the only “chili’ recipe I make. I know that technically chili doesn’t have beans but for the sake of convenience, I call this chili. 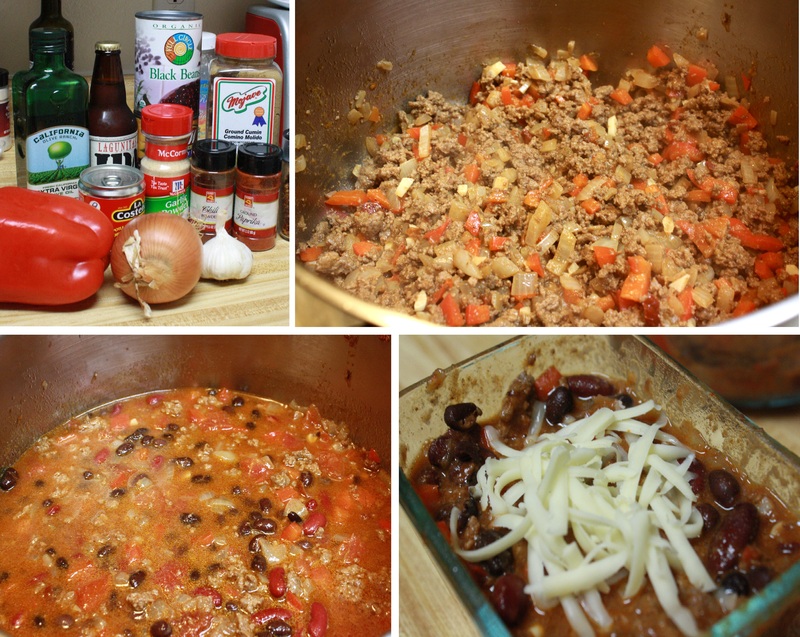 I’ve tried plenty of chili (especially with my old job and all the fire department chili cook-offs I attended), but I have stuck to this recipe or a slight variation of this recipe, ever since I tried making it. I generally make it without meat, but I am trying to up my protein intake so this time I added grass-fed ground beef. Serve with cheese, extra onions, or sour cream and enjoy!